The IRS requires all physical metals invested with a Precious Metals IRA to be securely stored in an approved metals depository or vault for safe keeping. Taking physical possession of metals held by your IRA is not allowed by the IRS until you take a distribution. 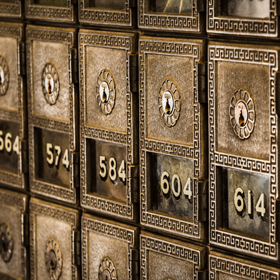 These past few years, companies that operate precious metal storage vaults are seeing a surge in business from existing customers, as well as new investors. Across North America and Europe, the operators of these depositories are opening new facilities and expanding as their spaces are becoming full with the ongoing demand. Being able to choose your own dealer and precious metals depository is very important. 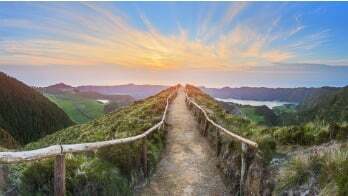 Some self-directed IRA administrators limit your options. Make sure to do your due diligence on any dealer, depository, and self-directed IRA administrator you are considering to ensure they meet your investment needs. Entrust Precious Metals IRA clients have the ability to choose, not only the precious metals dealer and the type of metals they want to invest in, but also the storage facility where their metals will be secured. More recently, investors purchasing precious metals through their IRAs have also had the option to store the metals both domestically and offshore. There are two ways metals can be stored at depositories, allocated or unallocated. Many depositories store and hold the metals in allocated accounts, meaning the actual precious metals that were shipped are being held in a separate area, similar to a safety deposit box. At point of distribution, the exact same precious metal that was originally deposited will be shipped out of the facility. Unallocated storage is also an option where the metals are comingled with other metals based on the size/weight and refinery of coins, as well as the minted year. At point of distribution, the metal will be the identical size/weight, refinery, or same year coins, but not necessarily the exact metal you purchased. Fees vary by depository and it is important to do your due diligence to compare. From a budget standpoint, investors should remember that the annual depository fees need to be paid from your self-directed IRA funds. These charges cannot be paid personally. Once you choose your precious metals dealer and depository, the next step is deciding your precious metal investment. Entrust (or your current administrator/custodian) will then send the funds to the dealer to purchase the metals in the name of your IRA, along with the depository shipping instructions. Your dealer will then ship the precious metals to the depository for safekeeping. Your Precious Metals IRA account value is updated regularly, and if you are an Entrust client, you can access this information anytime, online. If you want to sell your precious metals, the process is very similar. You identify a dealer to purchase your precious metal(s), instruct Entrust (administrator) to sell them, and request their shipment from the depository to that dealer. The profits are then returned to your Precious Metals IRA. The Entrust Group has a dedicated professional staff in our Precious Metals Center. Read our online educational materials to learn more about precious metals investing for your retirement, or for more information on precious metals in a self-directed IRA, please contact our Precious Metals Center at (877) 545-0544.